“On my eighteenth birthday, my father gave me a Dupont lighter. Like many young men of my generation, this gift marked an important milestone: the start of adulthood. I remember opening the packaging and immediately feeling the cold metal and weight of the brass in the palm of my hand. I remember admiring it, taking in every last detail. Then, I opened and closed the cap over and over again, just to hear the famous “cling”. I could never have imagined that this gift would pave the way for my path to one day cross with that of the French Maison which manufactured this piece that I was so proud to own. I wasn’t even close to understanding the technical complexity of this little metal bar or imagining the hours of work put in by the artisans and technicians involved in its manufacture and was unaware of the fascinating history of the Maison that created it. What I did understand, was that I was holding an exceptional piece. I was fascinated by its perfect flame, without actually realising that it achieved what men had dreamt of doing for 700,000 years: harnessing fire. The story begins with a man of exceptional destiny: Simon Tissot Dupont. A carpenter's son who became the official photographer of the Imperial Court, at the age of 25, Simon Tissot Dupont understood that progress would allow the elite to travel the world. In 1872, he created a luggage and leather goods workshop, producing a steady stream of exceptionally elegant and high-quality pieces. His vision: the Art of Travel enhanced with highly-personalised pieces to suit all tastes. At the turn of the 20th century, S.T. Dupont’s customers included Baron Maurice de Rothschild, the Bourbon-Parme family and the Prince of Nepal. S.T. Dupont owes one of its greatest successes, the Dupont lighter, to one of its most loyal customers, the Maharajah of Patiala, who ordered one hundred Chinese lacquer minaudi�res for his consorts, each one to contain a solid gold lighter. The workshops spent three years creating this fabulous order and, in 1941, S.T. Dupont produced the first luxury lighter. It was at this time that S.T.Dupont created a model whose understated and elegant design was to become a classic. Designed as a tribute to the Duke and Duchess of Windsor, great friends of the Maison, this petrol lighter was inspired by a special order placed by King George VI’s brother. Easily identifiable due to its wide vertical black Chinese lacquer band, it used the engine turning technique for the first time. Developed by the S.T.Dupont master goldsmiths, engine turning makes it possible to add texture to solid metal. A gas lighter works using one key piece: the regulator. The engineers in Faverges took on the challenge of inventing a mechanism small enough to allow the lighter to be carried in the pocket. As you would expect, this lighter also had to be completely airtight. This was a doubly difficult task, but neither of the “Fils de S.T. Dupont” had ever given up in the face of adversity. The two brothers also earned themselves a reputation by refusing to lose out in the race towards modernity! In 1952, after two years of hard work, S.T. Dupont was proud to officially present its first luxury gas lighter. 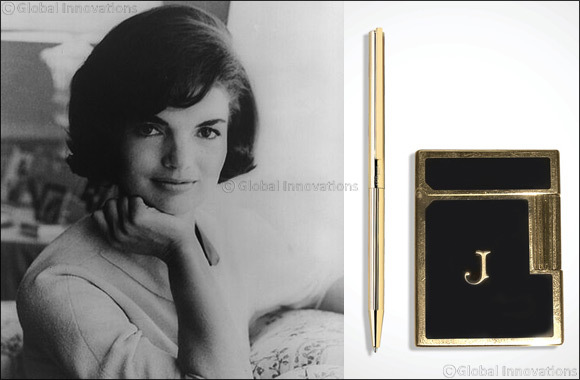 The elegance of the small gold bar with understated lines became a standard bearer of modern-day luxury. What was now known as “the Dupont” emerged from the shadows of the elite to acquire enviable ''icon' status. Cut and crafted from solid brass, and signed like a work of art by the craftsman who made it, the Dupont lighter combines fine metalwork with the mastery of a rare, mysterious material: natural lacquer, one of the Maison’s hallmarks. Innovation is the watchword of this Maison which is constantly pushing back technical limits and shaking up aesthetic codes. S.T. Dupont has invented the finest luxury lighter in the world, lighters with a torch flame, models suitable for use in extreme conditions, the James Bond Spectre - an incredible model with a hole pierced in the centre - as well as a surprising coating material: Ceramium A.C.T. 75 years after the creation of the first petrol lighter, S.T. Dupont is celebrating its anniversary by creating a captivating collection of exceptional lighters. The “Phoenix Renaissance” Limited Edition collection is inspired by the legend of the firebird that returned to the temple of Heliopolis, after being reborn. This collection, on the theme of revival, superbly illustrates the endlessly updated sources of inspiration of the Maison’s craftsmen, expressed here by the creation of a natural lacquer adorned with smoky and fiery nuances. Exactly seventy-five years after S. T. Dupont invented the first luxury petrol lighter, the famous Maison is celebrating its anniversary with the launch of a new gas lighter model with a resolutely contemporary style. This new “fire carrier” was inspired by the timeless style of its celebrated predecessor. The “Laque Flamm�e” lighter is a superb creation in the S.T. Dupont Atelier Collection which glorifies the ancestral art of lacquering. The midnight blue natural lacquer of this hand-decorated model is delicately applied to the body of the metal before the natural mother-of-pearl powder is applied with a brush and is gently combed with the brush until the fascinating, unique flame effect decor, specific to each piece, is obtained. A cabinet of curiosities around the Art of Fire which illustrates the exceptional and diverse know-how of its craftsmen, combined with the inspiration of three singular designers. The result is, quite simply, breathtaking: these five made-to-order lighters turn a functional piece into an ultimate object of desire. A wealth of shapes and colours, elegant engraving and decoration... everything contributes to making this collection an extraordinary occasion. The “Maharadjah de Patiala” lighter commemorates the sumptuous order for which S.T. Dupont invented the first luxury petrol lighter. The perfectly elegant decoration of this yellow gold monolith with a double flame is directly inspired by the lavish ornaments of the Maharaja’s castle. Engraving the motifs of each of these exceptional pieces requires no fewer than fifty hours of meticulous work by the master engraver Fr�d�ric Krill, one of the best of his generation. This exceptional lighter is made to order, limited to 88 numbered pieces. S.T. Dupont is offering enthusiasts an exceptional new piece, the fruit of the collaboration between the Haute Cr�ation workshops and Luis Alberto Quispe. The black obsidian in which the dragon’s body is sculpted was created by the cooling of lava on the ground, while the heart of the lighter is set with a fire agate. The metallic parts of its base are handmade in vermeil gold. It took the master engravers, polishers and goldsmiths 550 hours of work to complete this lighter made to order as part of an ultra-confidential limited edition of 8 numbered pieces. The designer and jeweller Philippe Tournaire was invited by the Haute Cr�ation workshops to combine his inspiration with the know-how of the Maison’s craftsmen. The Arc de Triomphe in Paris is home to a flame of remembrance which burns night and day, like an allegory of S.T. Dupont’s undying passion for fire. Each Ligne 2 model on a stand requires sixty hours of work. They are made to order in yellow gold or rhodium, limited to 88 numbered pieces. The lighter without the stand is limited to 288 numbered pieces. As for the “J�roboam” model adorned with rhodium, it is the fruit of 80 hours of work and is an ultra-confidential limited edition of 8 numbered pieces. When mechanical craftsmanship and the perfection of the goldsmith’s work are combined to create a work of art... A lighter like a gold and palladium lace equally inspiring radical power and delicacy, a paradox of two hundred metal pieces, where the lighter mechanism is both protected in a safe with a code and visible for the eye to see. Spectacular but perfectly proportioned, its skeleton body makes it possible to admire the perfect interweaving of its minuscule pieces. This double flame lighter with a soft flame and a torch flame showcases the craftsmanship of the Faverges artisans and required four years of design and development work. It is exclusively available on a made-to-order basis, limited to 8 numbered pieces.